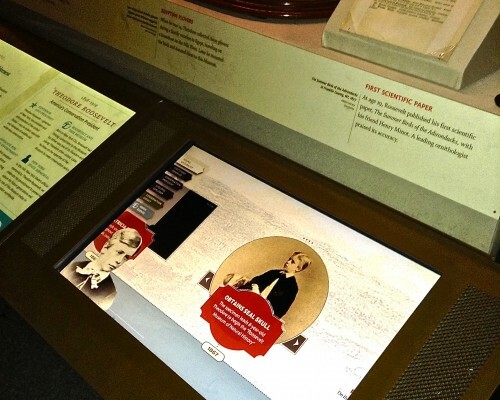 The Interactive Timeline is an Adobe AIR 3.2 application that runs full-screen on hardware within a history museum in New York. The hardware includes a touch-screen display and Apple MacMini computer. The application offers users a menu of event timelines related to nature and politics within a historical and contemporary context. 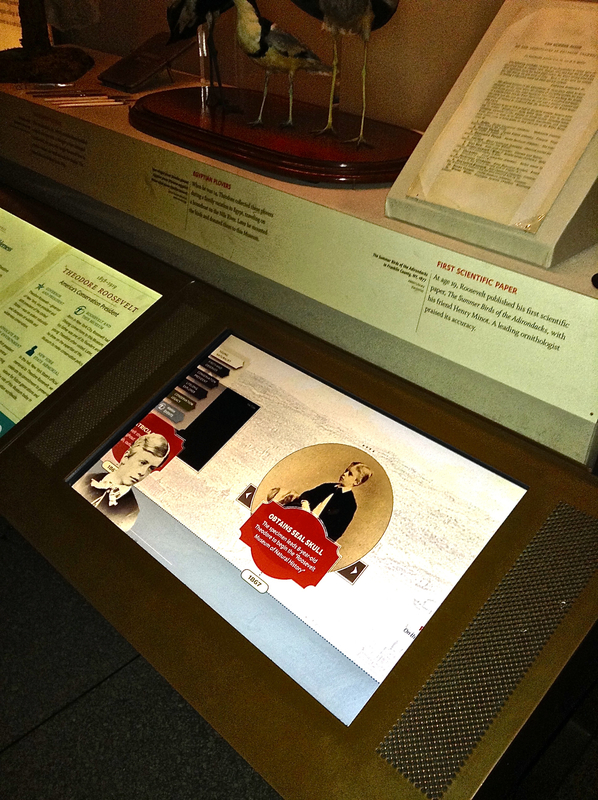 The timelines include 'events' of text, graphics, images, and video. The experience uses public Internet connectivity to load data from a remote CMS system and to load assets; embedded, local, and online. 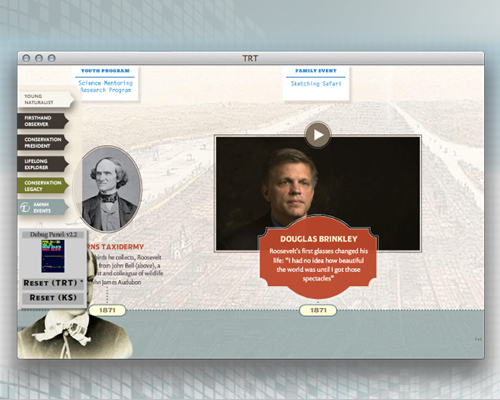 Timeline - Contains 'events' of text, graphics, images, and video. LifeBar - Contains labeled bars of various styles to co-relate important time spans under each 'event'. Role: I completed all aspects of development using the client's CMS for data and the client's assets. Client: A top natural history museum in New York.